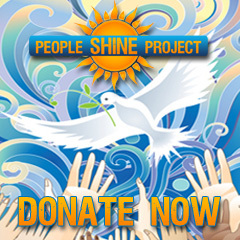 The People Shine Project's philosophy of healing is focused mainly upon the empowerment of the individual and the re-establishment of right relationship to everything, because everything is connected. We believe that any recovery work, whether it be through addiction, depression, cancer, personal crisis or simply spiritual exploration, must address the whole person. Transformational recovery is a life-long process rooted in good self-care, which includes reverence and respect for the whole self: body, mind and spirit, as well as the environment in which we live. We also believe this must be accomplished at the level of community and cannot be truly successful in isolation. It is our vision to inspire and educate people to take a more balanced and proactive approach to self care, wellness and personal growth. As advocates for integrative medicine, we have formed a unique community alliance which allows us to bring over 50+ classes per month (and growing) together under one roof to support this vision. Our programming is founded upon a holistic, self-help pathworking system for recovery, based on the Medicine Wheel model. The Medicine Wheel can help anyone regardless of race, culture, gender or belief system to transform at the core level. 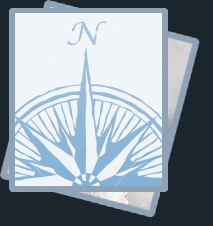 It aids in recovery from addiction and most especially "hidden" addictions, attachments and other issues that may not be readily recognized as addictions such as codependency, phobias, negative/compulsive thought and behavioral patterns, high functioning autism/Aspergers, mental and physical illness, such as cancer recovery and personal or spiritual crisis. The medicine wheel model is such a comprehensive cosmology that the same principles that apply to "healing" can be utilized to create and advance to our full human potential. The power of the Medicine Wheel is in its shape; It is a circle. Within the wheel, are the four directions which represent the stages of healing and empowerment, helping one to find balance, wholeness and centeredness, putting you back in touch with your essential source. Life is cyclical, it is not a linear process. Consequently complete recovery isn't about just getting from point a to point b. The wheel makes recovery an organic process, helping us to master our life by giving us the keys to bring into awareness the interconnectedness of all things through the very process of life itself. The medicine wheel is the quintessential holistic model for wholeness. As we work with the medicine wheel we become ever increasingly aware of how to get into the present moment, transmute our past, re-script our future, by living in the now, we transform our life by becoming centered within our Self. We heal our lives on every level as we heal our relationship to our self, to others and to the world. The wheel helps us to reconnect to our center and integrate all that we are, not in spite of our issues, but because of them. Exploring our issues can bring us into contact with parts of our psyche and our potential that we would otherwise have never known existed. As we begin to take more and more responsibility for ourselves, we start to get a glimpse of the possibilities and the magnitude of who and what we truly are. We may come to know that our ability to create through the power of love is even more potent than our ability to create out of suffering. For many of us this realization is the beginning of a new level of consciousness, a new way of being, and a whole new way of life, nourished and nurtured from within and not helplessly bound to something outside of our highest desires for ourselves. The People Shine Project allows other healthcare professionals, as well as the general public to not only engage in and learn more about integrative medicine best practices in a safe and supportive environment, but actually provides the means under one roof for people to become exposed to and experience a variety of modalities and methods that are often available only through high-end wellness centers, posh recovery retreats and exclusive spas. It is our purpose to make these types of leading-edge services ACCESSIBLE AND AVAILABLE TO EVERYONE. As people begin to see profound physical, mental, emotional and spiritual transformation, these practices are destined to become a permanent part of a healthy menu of good self care. Some of our offerings include Guided Meditations, Meditation Workshops, Mindfulness and Consciousness Raising Classes, Reiki Classes/Sessions, Breathwork, Shadow Work, Yoga, Tai chi (coming soon), Healing Circles & Pure Light Blessings (Diksha),Addiction Alchemy™ Recovery Medicine Wheel, Transformational Journeys, Women's Empowerment Groups, Goddess Circles, Journaling Classes, Drumming, Ecstatic Dance, Creativity & Art Workshops (Jewelry making, Collage/Mixed Media), Feng Shui Classes, Crystal Classes, Kabbalah Study Groups, Theta Healing, Crystal Bowl Meditations, Nutritional Education, Aromatherapy, Spiritual & Intuitive Development, Men's Groups, Abundance Workshops, Mastermind Groups and Professional Development workshops, Spiritual Mentoring, as well as Mini-Retreats, Social gatherings and non-denominational Sunday Services. Click here to see our full calendar of events. In addition to our weekly, bi-weekly and monthly classes, we also offer a variety of unique and dynamic one time special events, workshops and other activities each month. Our coaches and practitioners are also available for private consultations and sessions, as well, when one on one attention is required. All of our services are open to the public and usually do not require an RSVP. We have an open door policy and invite everyone to "come as you are". While engaging in any of the services offered through the People Shine Project would be beneficial at any level, sometimes people need more intensive and focused care. We have designed our programming so that an individual could participate in as many or as few of the offerings as so chosen. Since we ascribe to a holistic approach, we can help you put together a plan of personal care that is right for you. It is our intention to create a working model through the People Shine Project for other professionals to come together and form networks of care as a grass roots movement community by community to advance this mission. Please contact us if you are a professional, practitioner or teacher and would like to offer your services through the People Shine Project to the Southwest Florida community or would like to initiate a chapter for the People Shine Project in your community. Receive occasional Updates, Event Notices, Special Offers, Inspiration & Motivation right to your inbox. No spam - only the good stuff! Our guides are people who believe in a balanced approach to self care. Geared toward personal discovery, empowerment and practical applications. Using holistic, universal and time-tested models for sustainable well being. Hearing the voices of our community is a powerful experience all by itself. Updates, press releases, news coverage and media kits for journalists. Ready to put the power of integrative medicine and tribal community to work?